SHOCK PICS: Kylie’s Face Is COLLAPSING . . . Her Lips Are TOO HEAVY . . . They’re DISTORTING HER FACE!! 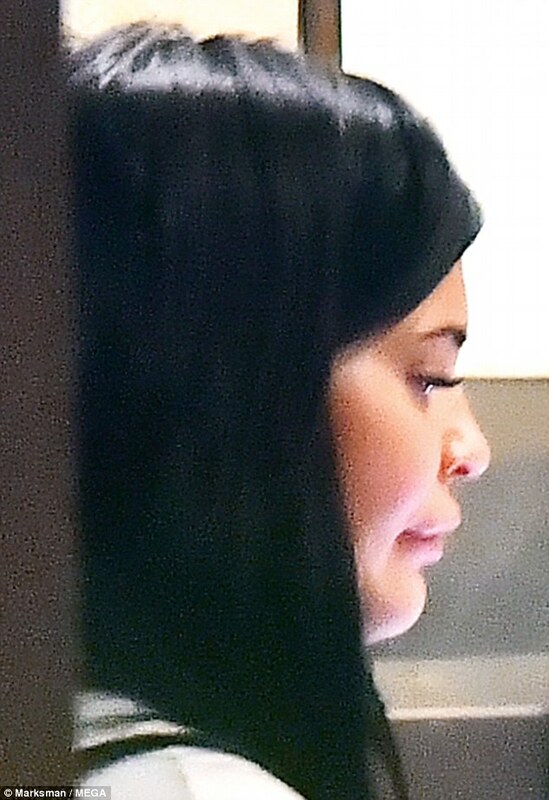 Kylie Jenner’s face appears to be COLLAPSING. The Youngest Kardashian stepped out yesterday – and her face was DROOPING under the weight of her GIANT LIPS. Kylie recently got facial botox – which paralyzed some of her facial muscles. She also got lip injections – to make her lips even bigger. The combination of the two procedures likely lead to her facial COLLAPSE!! It’s such a shame. Kylie Jenner is so young, and although she may not have been the cutest of the clique, the amount of surgery that she’s had on her body was way too much for a girl so young. Surgery can be addictive. But how long will it be before Kylie begins to look like the ‘Catwoman’ Jocelyn Wildenstein? The infamous plastic surgery addict had her first surgery back in 1978. She is rumored to have spent over $4 million on plastic surgery over the years and looks very unnatural. “It has always been an insecurity of mine, and I wanted to make a change,” Jenner regarding her lip fillers. But anybody with two eyes and a brain can see that the new mom has had way more than her lips done, although she still denies it. Come on Kylie, we can see the implants a mile off! No more plastic surgery.